We love working with our clients on their award winning campaigns. While for some clients we produce individual campaigns, for others we act as an extension of their business, developing and maintaining their engagement programmes for many years. We are working with the AA to support the first phase delivery of their ground-breaking whole-life road safety strategy to their members and their families. AA is in partnership with our very own Children’s Traffic Club, bringing life-saving road safety messages to pre-school children. The AA plans to provide road safety solutions at every stage of someone’s life. 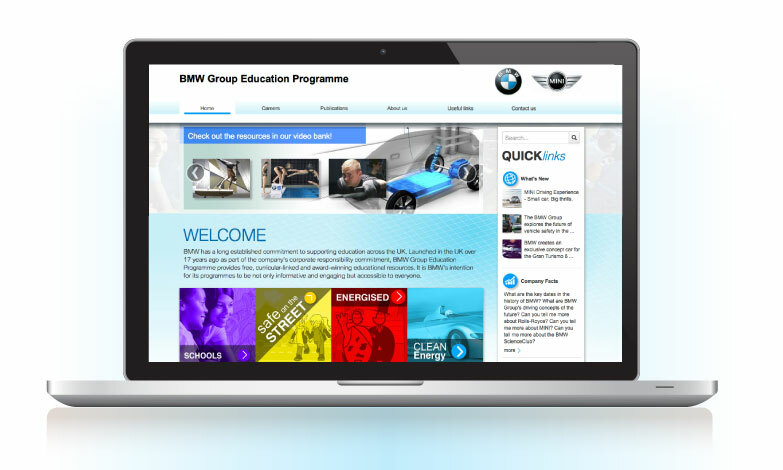 For nearly 20 years we have been proud that The BMW Group Education Programme has maintained its position as a leading online education website. A new refreshed and updated website was recently launched and with over 2 million hits a year, it is as popular as ever. CLIC Sargent, is the UK’s leading cancer charity for children, young people and their families. We developed a suite of new resources, which form part of CLIC’s schools provision. 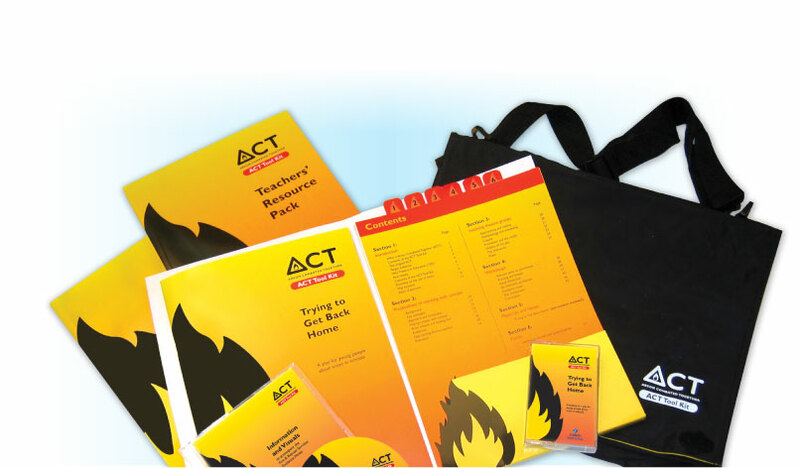 Included are academic planners providing information about the charity’s work and downloadable lesson plans for 7-11 year olds, helping them to understand the roles of charities and learn about fundraising. We created Feed our Senses, which introduces tiny tots to different foods through sensorial play, games, songs and rhymes. Parents and nursery staff are provided with techniques for making food and eating an enjoyable activity for tots; enabling them to provide children with a healthy start in life. 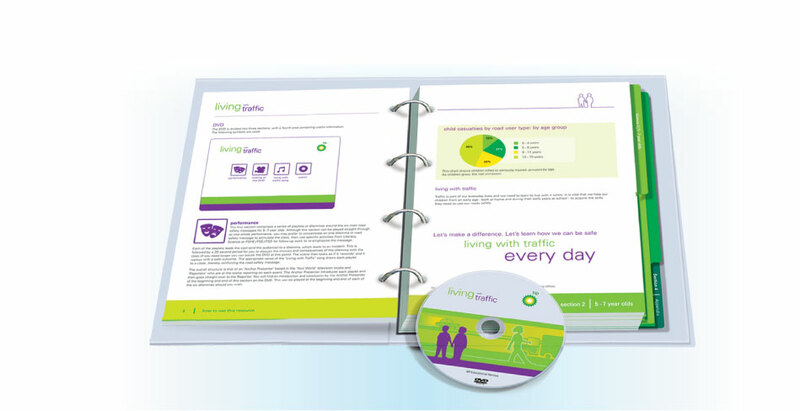 We have completed many successful road safety campaigns in conjunction with the Go Safe Glasgow Road Safety Partnership, delivering eye catching safety publicity campaigns. Topics aimed at road users include; treating each other with respect, be it driving, cycling or walking; inappropriate speed; festive safety and the morning after. We worked with the JDRF to develop a comprehensive school’s pack - ‘Talking Type 1’, which has proved successful at improving understanding amongst teachers and classmates of the need and care strategies for children with Type 1 diabetes. We are proud to have worked with M&S on many projects and campaigns. From their community engagement project, created to support teachers and Youth Group leaders in developing young people’s understanding of social responsibility, through to completing an audit of their ‘Marks & Start’ work experience programme. A favourite of ours is the literacy programme for 4-7 year olds based around Spencer Bear, who is “always there” helping to deal with issues such as making friends, settling in new areas, helping others, bullying, road safety and getting lost. Most recent work includes digital interactives to support their 125 year anniversary called 'Marks in Time. To promote and inspire young people to become the inventors, engineers and scientists of the future, we designed and developed ‘School Power’. This visually exciting, free online programme aimed at pupils aged 4 to 11, their teachers and parents, covers the themes of Energy, Materials and Forces. Through an employee engagement programme these messages are taken directly into the classroom. We are proud to have worked with Nationwide for many years. 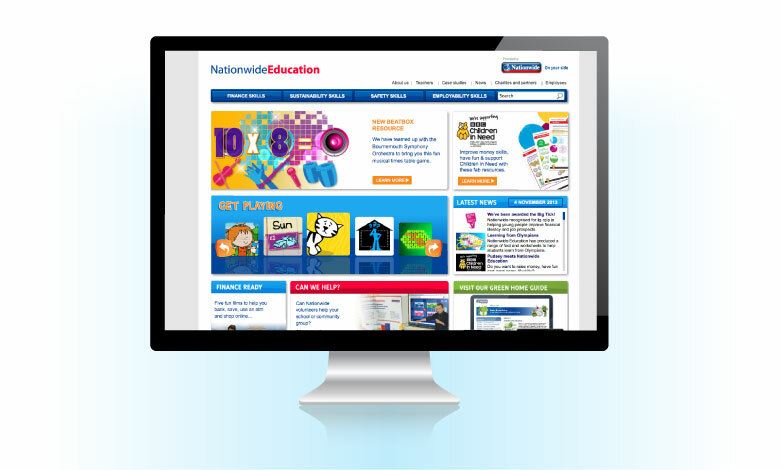 Nationwide Education, a comprehensive digital hub, forms an important element of their CR commitment. 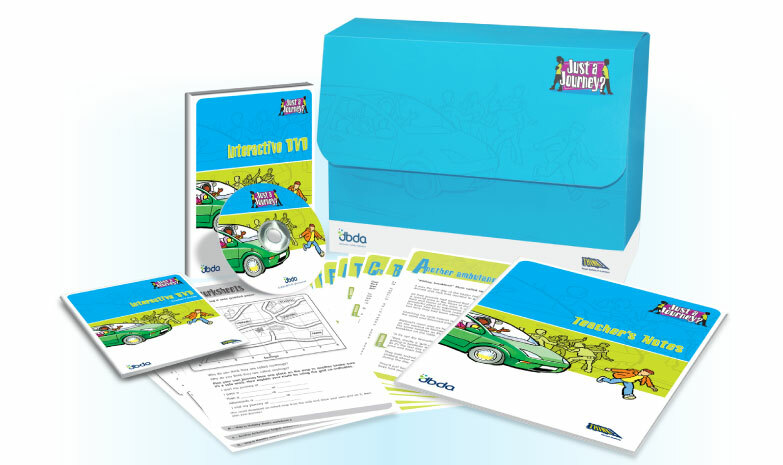 Content, in innovative engaging formats, has been developed to supports all ages from pre-school to adults and covers numerous themes teaching vital life skills. Training and guidance for employee volunteering is also provided. Using the popular Dora the Explorer character as inspiration, we developed ‘Help Dora Help’. Since its launch, the website has proved highly successful in engaging pre-school and nursery audiences with the brand and raising the profile of Dora the Explorer with families and early years’ practitioners. On behalf of Carex, one of the UK’s leading handwash brands, we created a curriculum enrichment programme to support pre-school practitioners, teachers, school health professionals and parents demonstrate best practice in hand washing. It enables children to learn about and rehearse handwashing skills and techniques through a range of handwashing occasions associated with childhood and family life. On behalf of the Ramblers, Action for Children and the Department of Health, we developed the ‘Trail Tales’ programme, aimed at getting families with young children walking for health. The suite of fun Trail Tales storybooks and logbooks targets pre-school and junior school children and aims to encourage regular independent walking close to home as part of everyday life. We are helping Siemens tackle the STEM skills gap with the UK’s first engineering education and careers portal for schools. The Siemens Education Programme, contains comprehensive multi-platform STEM themed content, including highly interactive schemes of work and engaging 3D games based on some of the most ground breaking industrial projects and technologies in the UK. It is supported by an Employee Engagement Programme. Using extensive research commissioned by STABILO, we developed The STABILO Early Writers programme. Writing is a vital skill that children have to learn and develop gradually. The programme motivates and encourages children to practice their early writing skills and raises awareness of the importance and relevance of developing the fine motor skills that are the building blocks for learning to write. The Syngenta Periodic Table has been designed to encourage young people to appreciate the role chemistry plays in their everyday life. The periodic table is fundamental to the science curriculum and this free interactive resource is designed to teach this important topic in an engaging way and help learners understand the often complex world of chemical reactions. We are proud to have supported the client by developing, managing and running a bespoke Community Speaker Programme, which takes water related topics and messages out to school and community groups across the Thames Water region. 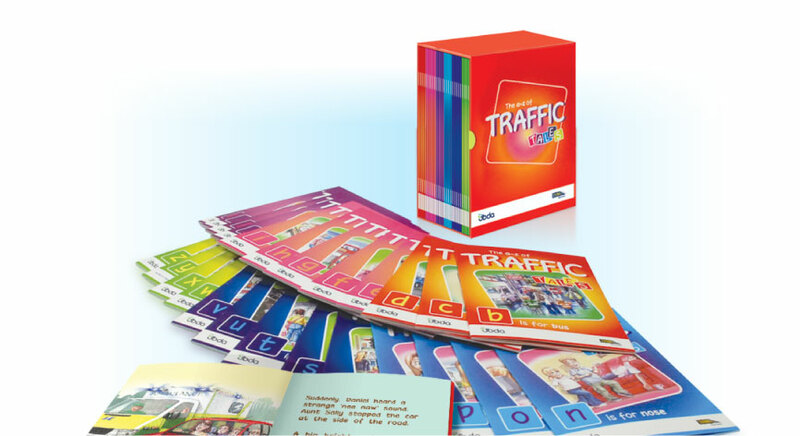 For 10 years now Transport for London has being funding the provision of The Children’s Traffic Club, bringing life-saving road safety messaging to London’s preschool children. The Club is delivered through a multimedia membership package, either directly in their homes, or through educational and childcare establishments. The client was seeking to communicate their Environmental Policy Statement to staff and stakeholders in a simple and innovative way. We developed an interactive Employee Awareness Campaign, outlining their commitment to ten environmental principles providing employees guidance. 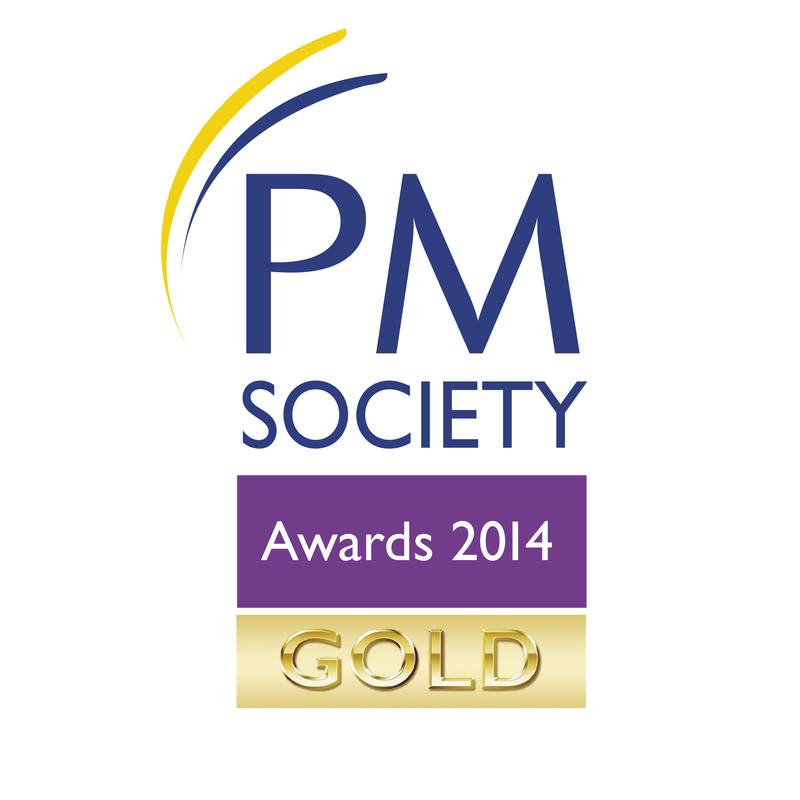 We like it best when we’re commended for the positive difference our campaigns and resources make to people's lives. These are some of the awards that have mattered most over the years. It’s a list we keep on adding to. A cookie, also known as an HTTP cookie, web cookie, or browser cookie, is usually a small piece of data sent from a website and stored in a user's web browser while a user is browsing a website. When the user browses the same website in the future, the data stored in the cookie can be retrieved by the website to notify the website of the user's previous activity. Any cookies used on this site do not contain personal information about you. Blocking all cookies may, however, affect the usability of this website and is not recommended. in Firefox, you can delete cookies by, first ensuring that cookies are to be deleted when you "clear private data" (this setting can be changed by clicking "Tools", "Options" and "Settings" in the "Private Data" box) and then clicking "Clear private data" in the "Tools" menu. Again this may temporarily affect the usability of this website. Please also note that if cookies have not been disabled in your browser they will be recreated upon your next visit to this website. This website has been prepared solely for the purpose of providing general information about Ten Alps Communicate and its products and services. Ten Alps Communicate reserves the right to make changes to any of these at any time. This information is believed to be reliable. To the extent permitted by law, Ten Alps Communicate disclaims all warranties, either expressed or implied terms of satisfactory quality, fitness for a particular purpose or non-infringement. All such implied terms and warranties are herby excluded. The contents of this website are protected by copyright and belong to Ten Alps Communicate. The material may not be reproduced, transmitted or shown in public, adapted or changed in any way, in whole or in part, without prior written authorisation from Ten Alps Communicate other than for your own personal, domestic and non-commercial use. Ten Alps Communicate accepts no responsibility or liability either directly or indirectly for any other websites which may be accessed through this site and dbda has no control over such sites. Ten Alps Communicate will accept no liability either directly or indirectly for any consequential damages from any use of this website including without limitation any loss of profits, business interruption, loss of programmes or other data or otherwise. Any comments or materials sent to Ten Alps Communicate through this website shall be deemed to be non-confidential. Ten Alps Communicate has no obligation with respect to such comments or materials and has the freedom to reproduce, use or transform such comments or materials without limitation. Furthermore, Ten Alps Communicate shall have free use of any ideas, concepts, know how or techniques contained in such comments or materials. Ten Alps Communicate does not warrant that the functions in this website will be uninterrupted and error free, that any defects which may occur will be corrected, or that this website or the server that makes it available are free from viruses or bugs. This website is not intended to and does not create any legal or other relationship between Ten Alps Communicate and you or any third party.